The St. Regis Abu Dhabi merges authentic Arabian hospitality with more than a hundred years of bespoke St. Regis tradition. Crafted for modern connoisseurs who desire exceptional experiences The St. Regis Abu Dhabi brings distinctive St. Regis New York legacy to the captivating Arabian Address of Nation Towers on the Abu Dhabi Corniche, the social epicenter for royalty, the discerning traveller and luminaries in the art of living. 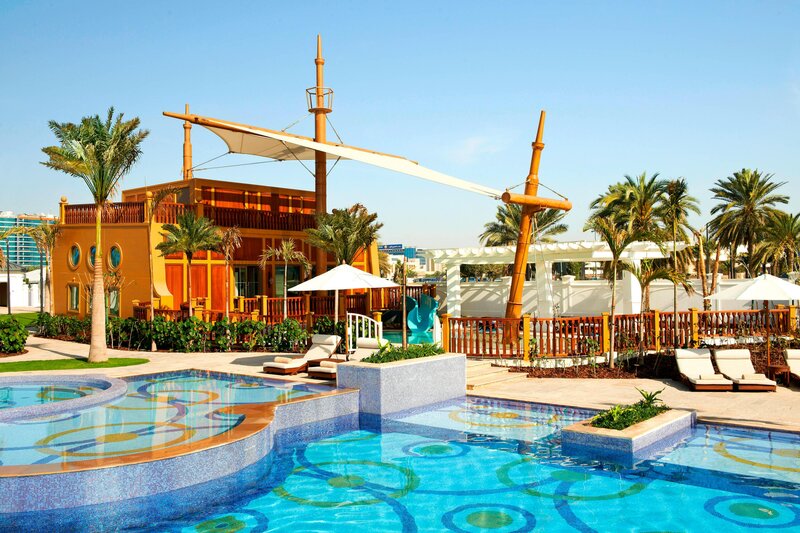 Located at the heart of the Abu Dhabi Corniche, the hotel is directly connected to Nation Galleria Mall and is just minutes from Marina Mall and the sophisticated World Trade Center. It is also in the close vicinity of many of the embassies, oil and gas companies and other business institutions in the city. 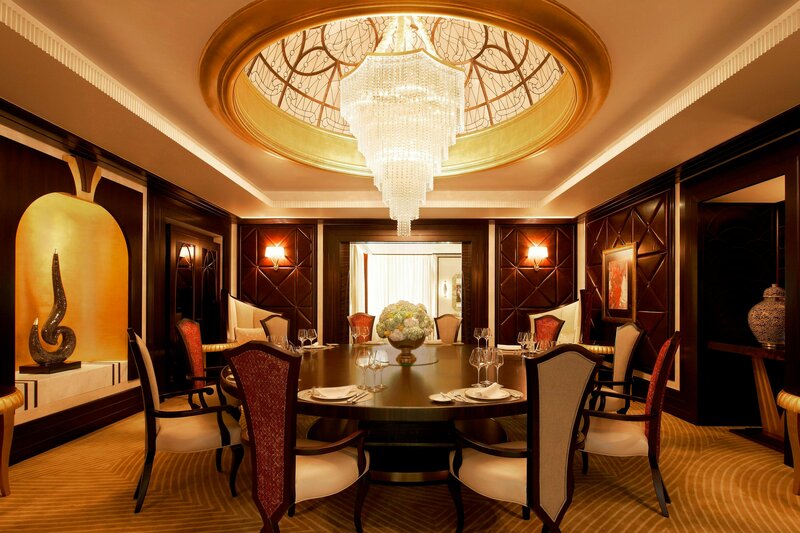 St. Regis Abu Dhabi offers a world of dining and entertainment. At any time of the day, guests and visitors can experience a splendidly balanced mix of intriguing yet sophisticated tastes, flavours and sensations in superlative restaurants and bars. Set on the vibrant heart of Abu Dhabi&apos;s Corniche, The St. Regis Abu Dhabi infuses authentic Arabian hospitality with more than a hundred years of bespoke St. Regis tradition. 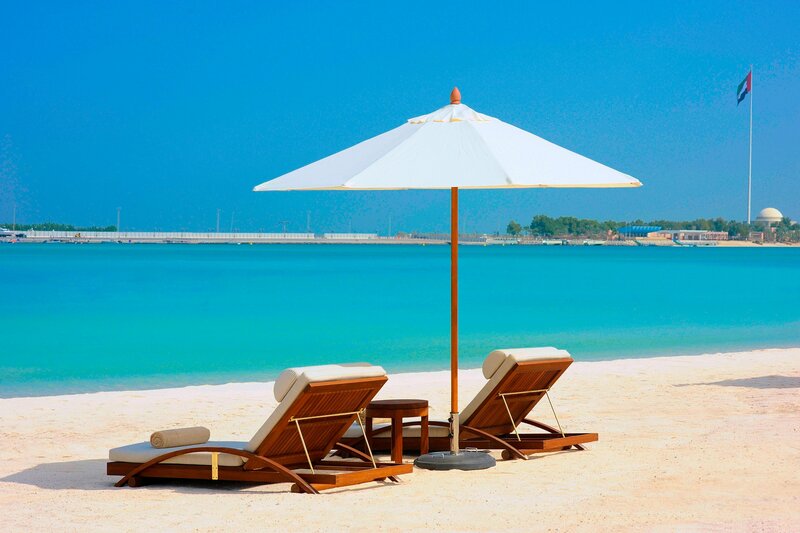 Nation Riviera Beach Club offers its guests private access to one of the best beaches of Abu Dhabi. 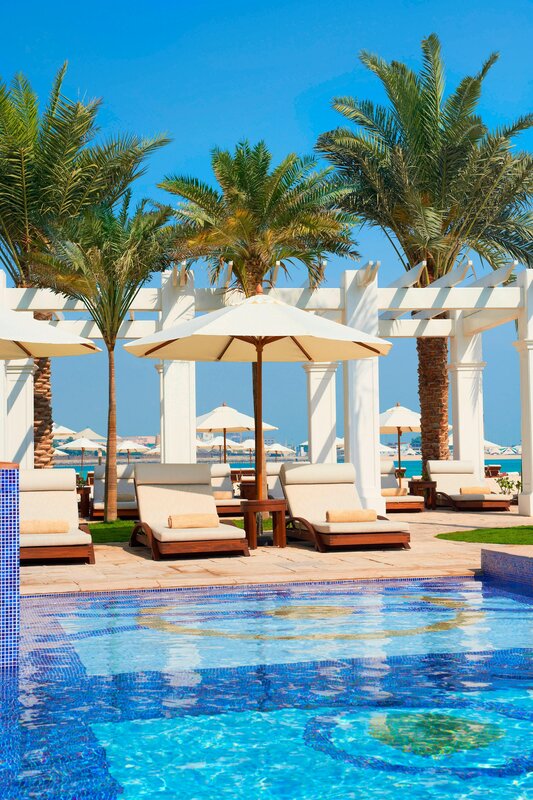 The St. Regis Abu Dhabi proudly features the only "Remède Spa" in the Middle East. 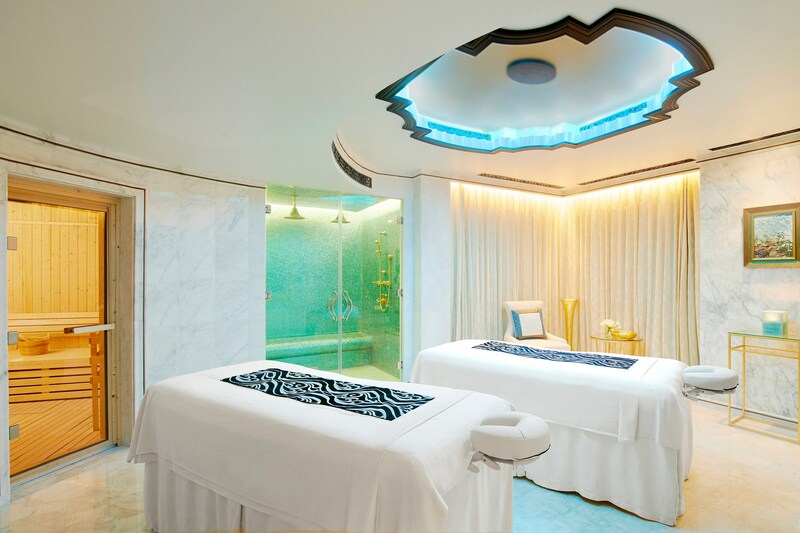 Stretching over 3,200 square meters, our serene white spa overlooks the celebrated Corniche and sparkling Arabian Gulf. In addition to 11 treatment rooms—some with sea views, including the couple’s room and VIP Suite— an outdoor terrace and a nourishing menu of refreshing juices and tonics, herbal elixirs, tea and coffee, and light bites. The premier choice of our most discerning guests, the Abu Dhabi Suite presents 360-degree views from its two-story 48th and 49th-floor location. Extraordinary in every facet, this iconic suite with private entrance boasts three bedrooms, along with a maid’s room; three bathrooms; two powder rooms; and a lounge bar. 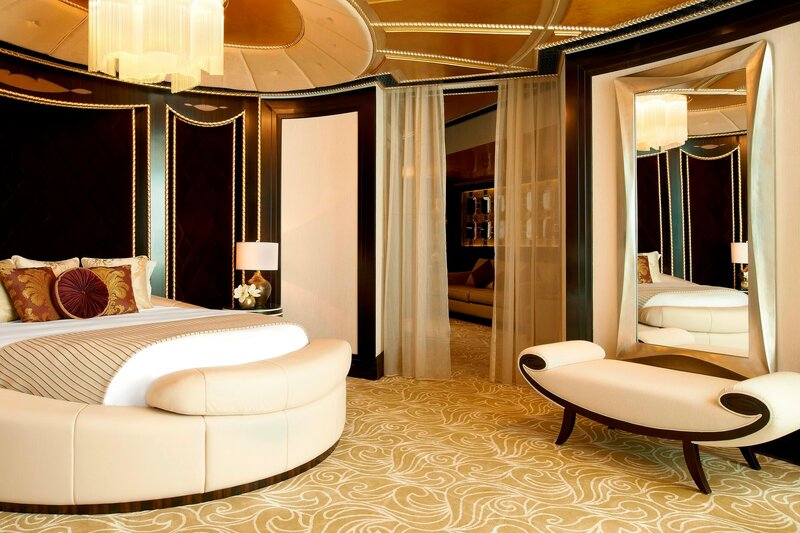 The appropriately named Abu Dhabi Suite embraces the opulent reputation of the capital, boasting unparalleled space and amenities that begin even before guests arrive. The St. Regis Abu Dhabi is conveniently positioned just 30 minutes from the Abu Dhabi International Airport (AUH) and two hours from the Dubai International Airport (DXB). We are pleased to offer private transportation to and from either airport in our fleet of luxury cars, which are also available to transport guests around the city. Guests arriving via private helicopter may access the hotel’s landing pad.